as 'the prayer tour' approaches britain via the european mainland, steve sutherland joins robert smith and his merry men and discovers the insance lenghts they go to in retaining their sanity. NEXT WEEK: more madness and mayhem as 'the prayer tour' romps through italy and spain. why did the band try and throw a ferry captain overboard? 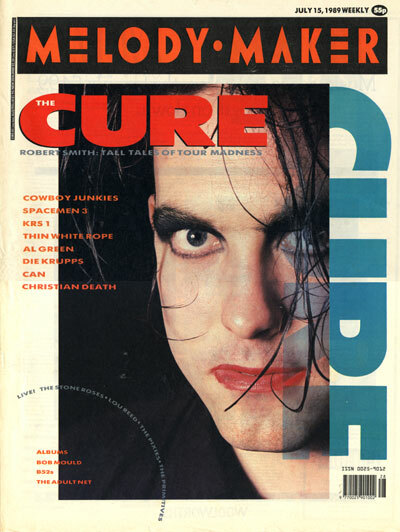 who won the drinking competition between the cure and the mission? where do steffi graf and sabrina figure in all this. Ahhh. The memories. Thank you again. 1. Football is not good for your health. 2. Always hold to Plan A. 3. It's the last tour again.